We know right now the Attorney General is calling for an end to protections of state legal MMJ Businesses. Jeff Sessions recently sent a letter to Congress demanding that members not renew the Rohrabacher-Farr amendment (which bars the Department of Justice from using resources to prosecute individuals who are acting in compliance with their state’s medical marijuana laws). There is confusion and concern. Everyone in the industry can do their part to operate within the laws of their state. This means everyone must adhere 100% to their states compliance rules and regulations. 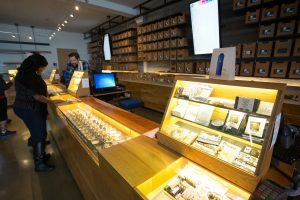 Noelle Skodzinski, of Cannabis Business Times, just wrote about this topic and interviewed Steve Fox, of Vicente Sederberg Strategies. At the end of their interview, she asked him what else he thinks is important to address. The CARERS Act was just reintroduced in Congress – groundbreaking legislation that would finally end the federal war on medical marijuana. The CARERS Act will safeguard patients and providers in these states from federal intervention. It will de-schedule CBD, so that individuals from states with CBD laws with no CBD production, can travel to and from states that produce CBD to purchase it. And it would remove barriers to federal marijuana research and allow veterans to discuss and receive recommendations for medical marijuana with Veterans’ Affairs physicians. Let your voice be heard on this topic. This is an Easy ACTION STEP YOU can take right now to help the Drug Policy Alliance – it will take less than 18 seconds! CLICK HERE TO HELP! IT’S FREE! Previous PostAppreciation – Thank you, Kayvan! Next PostAppreciation – Thank you, Alex!